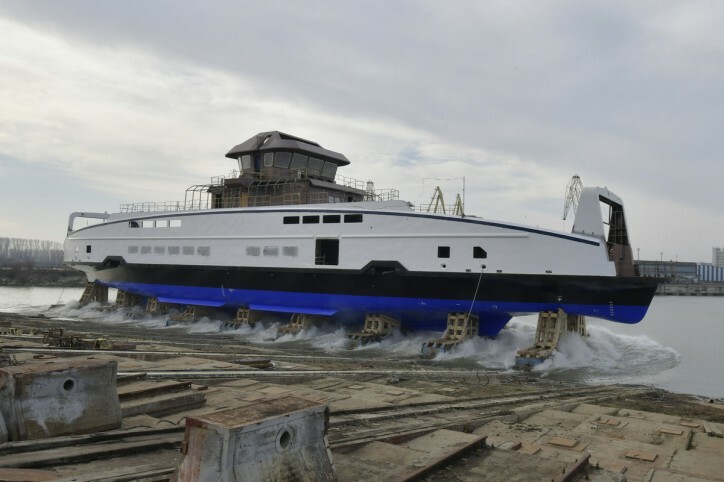 In the space of just a few weeks, two, 81-metre road ferries for the Canadian ferry operator BC Ferries have been launched at Damen Shipyards Galati and are now being fitted out ahead of entering service next year. Once operational they will be capable of carrying up to 300 passengers and crew, and 47 vehicles. 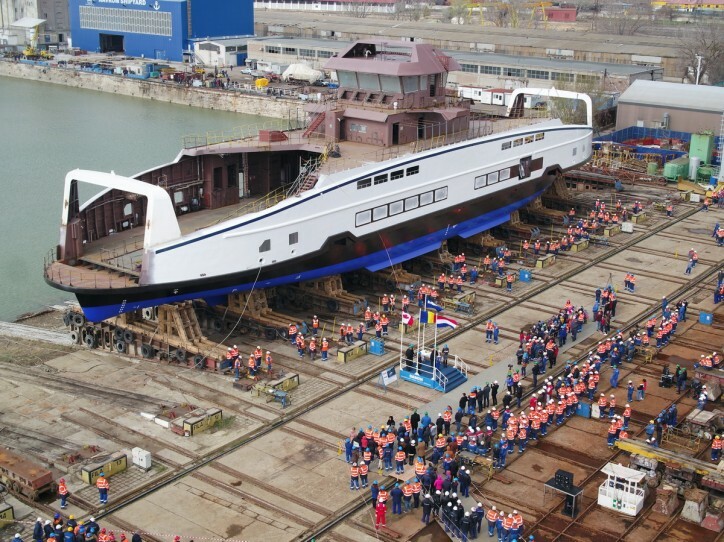 The ferries have been built to Damen’s Road Ferry 8117E3 design and the order was secured following an extensive, multi-phased, international tender process. BC Ferries is currently undertaking a fleet renewal programme that will see a number of new vessels operating in the province of British Colombia, on Canada’s Pacific coastline. The twin Damen Road Ferry 8117E3 will serve the Northern Gulf Islands off the coast of Vancouver, replacing vessels that are now over fifty years old. 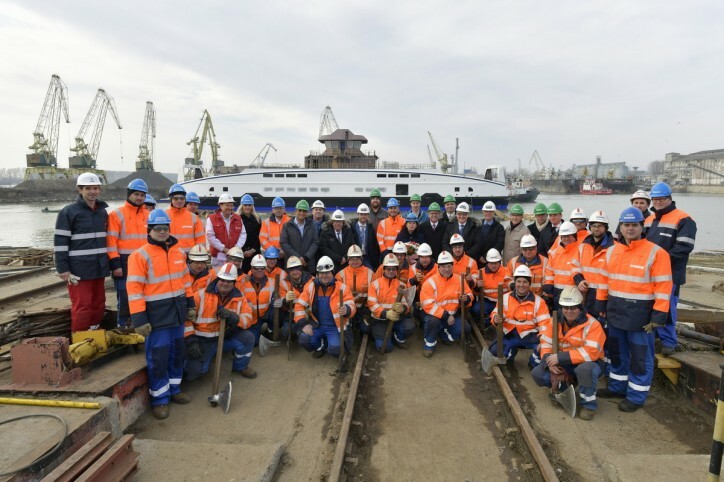 He also offered his sincere congratulations to all those involved in building the second hull and in particular recognised the efforts that the management and workers of Damen Galati had made to reach this important milestone. Damen is working to a fixed-priced contract that provides BC Ferries with substantial guarantees related to delivery dates, performance criteria, cost certainty and quality construction. Building two identical vessels will also deliver capital and operating cost savings and additional efficiencies. After-sales warranty support will be provided by Point Hope Shipyards in Victoria, British Columbia in an agreement with Damen.